Before you begin planning your interior design project, you need to create a budget. Setting a budget gives you the foundation needed to plan your project. It’s easy to get excited about your project and you may want to jump right in and get started. However, starting any project without creating a budget first is a mistake. Without a budget, you could run out of funds before the project is complete, delaying the process for months and in some cases, even years. Even if you complete the project, you may not have the funds to buy the best quality materials or you may need to find some other way to cut corners. This could prove to be a problem later, which is why all successful interior design projects begin with a budget. Many benefits are associated with creating a budget for your design project. One of the main advantages is having a guideline you can use to plan the entire project. Here at J. 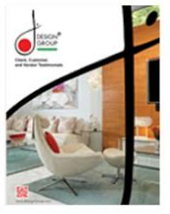 Design Group, we can help you establish budget guidelines and help get your project underway. When you know exactly how much money you have to spend, you can divide your objectives into parts according to priority. It gives you the ability to prioritize your project by taking care of the most important objectives first. You can set limits on your project by going down the list distributing the funds as needed until you run out of money. This way, you know how many of your objectives you can complete at this time. It helps you plan for future projects because you’re separating your objectives into parts according to priority. Therefore, you’ll have a clear picture of the funds needed to complete all objectives, even the ones that need to be put on hold for awhile. You won’t have to worry about running out of money in the middle of the project, putting everything on hold. There are many benefits associated with creating a budget but there’s one more step you need to follow to ensure success. Creating your budget and distributing the funds to each objective is vital to your success but neither is any good if you don’t keep your project on budget. Things can get out of control very easily especially when you run into unexpected problems. The following tips can help you keep your budget on track. Keep an emergency fund available for those unexpected expenses that will occur at some point during the project. Be realistic when distributing the funds. It’s always better to over-estimate the cost of each objective than it is to underestimate. Monitor your spending and track everything. You need to know exactly how the money is being spent along with when it was spent and for what. Continue to balance and update your budget as you go. This way, if one part of the interior design cost less than expected you can distribute the money somewhere else and vice versa. Your budget is the foundation of any interior design project. It will help ensure you have the funds to finish the project and these tips will help you keep your budget on track.